We did it! 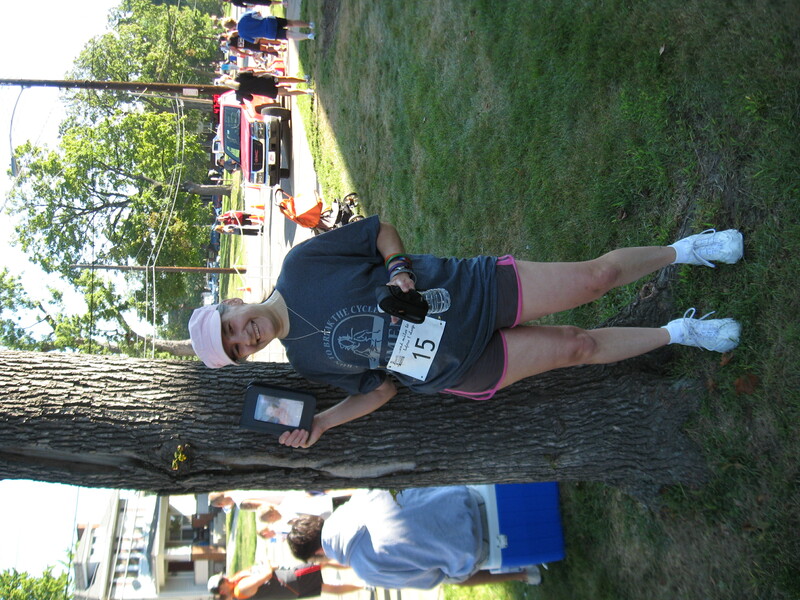 This morning I walked in my very first 5K race. 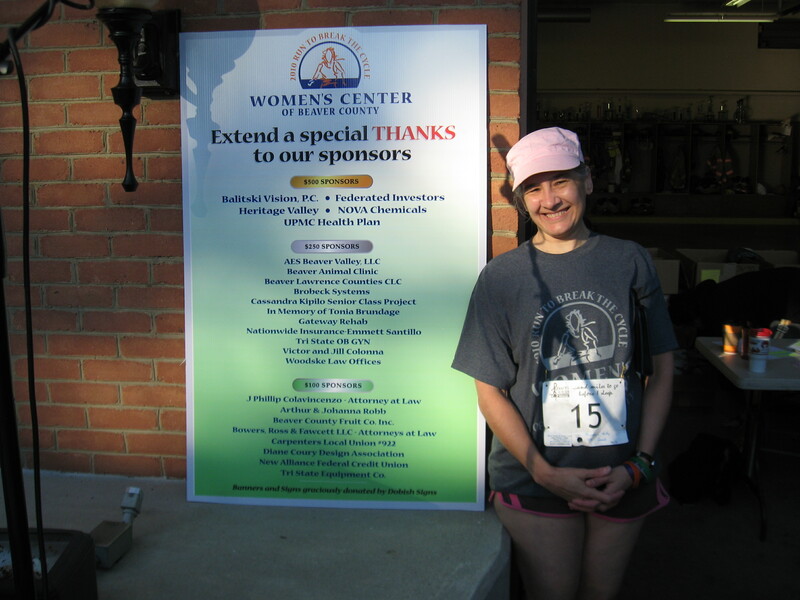 We walked in the Women’s Center of Beaver County’s Race to Break the Cycle. 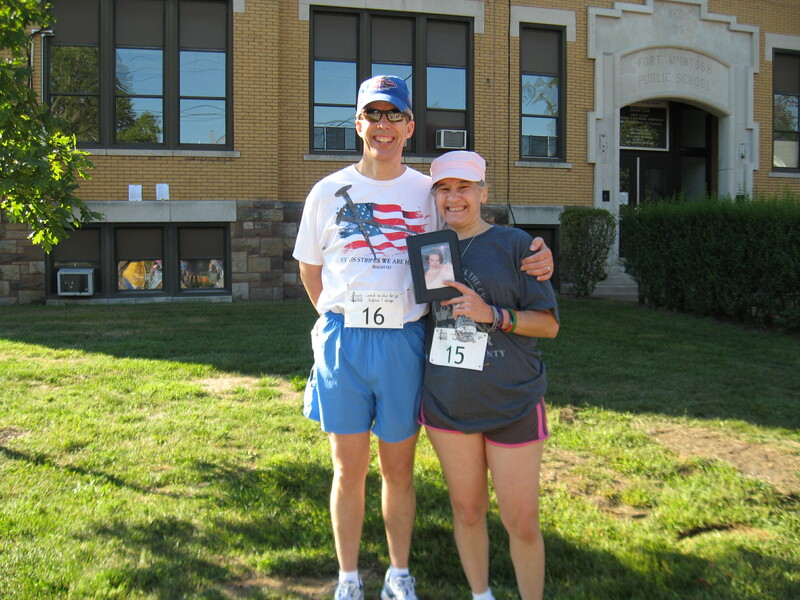 We raced enough money to sponsor the race so the shirts had “n Memory of Tonia Brundage” on the back. My goal was 50 minutes. We took off at a good clip and Rick set a nice pace. I was tired but we ran the last 100 yards to cross the finish line in under 43 minutes!! It was great. We raised some money to help some women and their children to get the assistance they need and we celebrated the fact that God gave us the gift of Tonia. Tomorrow would have been her 29th birthday! It was our way of passing on God’s blessings in our life. Here are some pictures before and after!